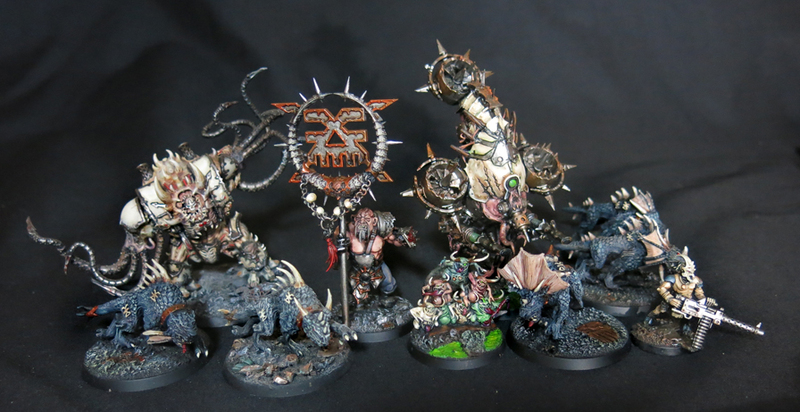 One of my goals for 2019 is to get all of my poxwalkers painted up. Having been included in the Dark Imperium box set and as a easy to build set, Games Workshop have been practically giving these away and as a side effect of this profusion, coupled with my tenancy towards bargain hunting, I’ve ended up with 40 of the shambling corpses, enough for a proper zombie apocalypse. 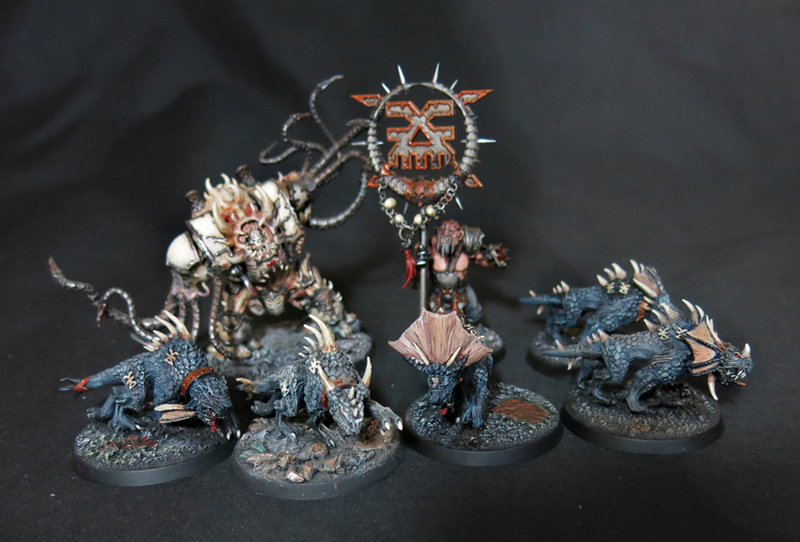 I wasn’t entirely idle on this front in 2018 so with these latest two models finished we are now up to the halfway mark (and a full unit for 40k for those who like to keep up with these things). Of course such a moment calls for a group shot. My intention is to keep working on these over the next few weeks. I know I’ve claimed on several previous occasions that more poxwalkers would sooner be forthcoming only to get sidetracked by other projects but this time I mean it (honest!). The dead just aren’t staying in their graves these days are they? 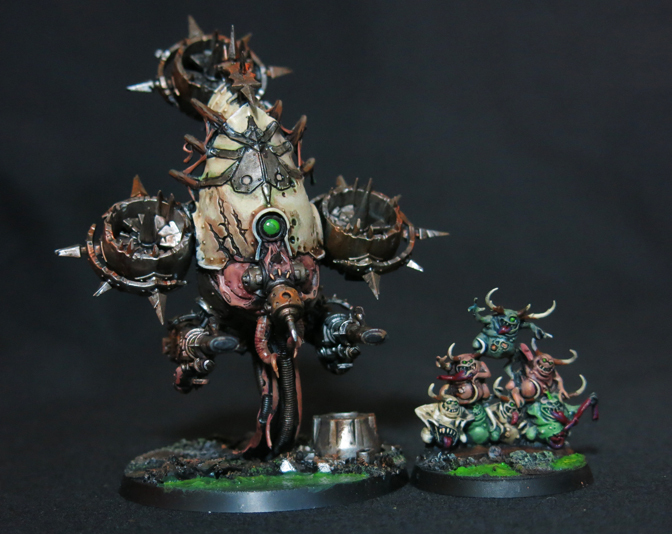 Here’s two more Poxwalkers for the slowly gathering horde.